DHC Electrical - Electrician based in Rownhams, Hampshire. LOOKING FOR A FRIENDLY AND RELIABLE ELECTRICIAN? 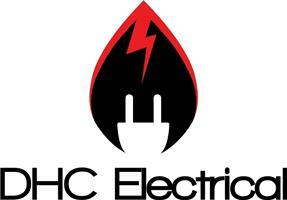 At DHC Electrical we offer a Professional, Reliable and Honest service to all our customers. Carrying out all types of Domestic Electrical Works, moving sockets to re wiring homes, as well as small Commercial properties; shops, estate agents. Our main aim is to provide a Quality High Level of Customer Service, doing a neat and tidy job that you the customer are more than happy with the service provided. I know that we achieve this as a lot of work is repeat custom and/or comes from recommendations from previous customers. NIC EIC registered, Electrician. Part P registered so all work can be signed off and certificated. I am more than happy to answer and discuss any questions you may have, either over the phone or face to face. Feel free to contact, no matter how small you think the job may be, more than happy to quote and help.